Shaivism. Learn The Practical Application of Shaivism. Sadguru Kedarji. Home » Shaivism. The Path Taught By Shiva. Shaivism is an exact, effective science of lasting spiritual attainment that allows us to become established in that sacred space, beyond your mind and beyond your senses. In this way, it is a very practical and powerful approach to permanent spiritual transformation and ultimate Liberation that has been embraced by many Sages in a long lineage of God-realized beings of Kashmir Shaivism. We also make this offering to honor and glorify the venerable Sadgurus of Kashmir Shaivism and Trika Shaivism, as it has been taught in a lineage of great sages since the pre-bronze age. Some of those great beings include Swami Laksmanjoo, Abhinavaguptacharya, Kshemaraja, Somananda, Uptpaladeva and Shri Vasuguptacharya and Muktananda Paramahamsa. The Nityananda Shaktipat Yoga curriculum is based on the Kashmir Shaivism that was taught in Northern India. This approach is an exact science that states that each of us, has already attained the Self and are one with That – the Absolute. This approach is concerned with how to make this experience manifest constantly in our lives by living in a state of Grace. It is the approach that embodies the receipt of Sadguru Kedarji’s Shaktipat Blessing. This incredible path to the Highest, to Shiva, provides principles and practices that are the direct means for going beyond the mind and beyond the senses in order to test the teachings in the laboratory of your own existence. Shaivism offers the proof of the highest understandings and experiences of the Supreme Principle, in much the same way that modern science begins the test of a theory with a hypothesis. In Kashmir Shaivism, these understandings become the hypotheses by which one proves or disproves the principles and effectiveness of the practices taught, in the laboratory of one’s own existence, through direct experience of the Ultimate Reality or inner Self. These principles are examined in detail in The Secret To Self-Realization series of courses and are taught by way of the instruction of Sadguru Kedarji, and the unfolding bond of power with him. Shaivism concerns itself, primarily, with increasing your awareness of what is beyond the mind and beyond the senses. Here, we offer a time-honored practice known as Shaktipat Meditation, that includes our unique method, known as Witness Consciousness Centering. This is a powerful method of making the restless mind silent in under 3 minutes, a practice supported and nurtured by the Grace of the Sadguru. 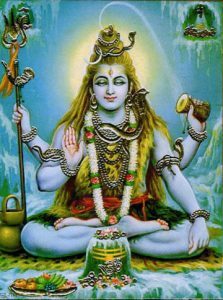 This practice of the Observer allows you to expand your witnessing awareness of what is, what always has been and what always will be, by anchoring you in the experience of That in such a way that, over time, your awareness of the Shiva-Shakti power, the Self in everything and everyone, is uninterrupted. This is what is known is Shaivism as Witness Consciousness. A restless mind cannot produce the kind of Peace, Joy, Centeredness, Groundedness and Happiness that is essential for individual well-being and the collective well- being of everyone on the planet. Holistic well-being requires a mind that is free from agitation, worry, doubt, fear, anxiety and restlessness. Inside you there is an ocean of Peace, a wellspring of Joy and Inspiration that never runs dry. To experience this, you have to go beyond your mind and beyond your senses to That Witness to your mind and your senses. This begins by making the mind quiet so that you can experience what we call your natural, free state of being, your True nature. So, a quiet mind is essential. What if you could experience a silent mind and then no thoughts whatsoever, and then a wonderful experience of Peace and Joy, in under three minutes? And what if you had a simple, daily practice in which you could maintain this experience of a silent mind, while making your mind sharper? Witness Consciousness Centering is our proprietary meditation method for making the restless mind quiet that has been developed by our Founder, Sadguru Kedarji. This meditation method has been proved to make the restless mind silent in under 3 minutes. It is taught in combination with another powerful method offered by Sadguru Kedarji, known as The Arc. The meaning of this Sanskrit word is often translated as meditation and interpreted as sitting meditation. But there is another meaning for Dhyan, the purest translation, which is ‘seat of awareness.’ And this is the true meaning of Meditation – Awareness of the Self, the Supreme Intelligence or Shiva-Shakti power, at all times. There are many meditators who confuse the brain with the mind, and believe that it is the brain that is impacted by meditation. This is due to their own lack of spiritual or witnessing awareness, an awareness that can only be developed by going beyond the mind and beyond the senses. Until you experience Witness Consciousness, your attempts at making your restless mind quiet cannot bear permanent fruit and, instead, become just a string of glimpses that, at best, can only support the notions of duality, diversity and worldliness. For these reasons, if you want to expand your spiritual awareness, you need to understand and experience the Witness to your mind. In this way, Shaivism provides a proved foundation for the Nityananda Shaktipat Yoga approach to burning away all that you are not, so that your true nature can shine forth unimpeded, in the constant awareness of the Supreme, as you go about your daily, mundane activities. The key is to attain a state where you never lose your witnessing, spiritual awareness and direct experience of That, as you go about your daily, mundane activities and interactions. The Bliss, the Joy, Peace and Love of the Highest is secured in this way, in an uninterrupted fashion. This manifests the ongoing, excellent experience of freedom and all the inner strength necessary to take on life’s challenges with a smile on your face – and that is Shaivism! For more direct insight into Shaivism, also known as the Kashmir Shaivism or Trika Shaivism approach, inherent in Nityananda Shaktipat Yoga, we strongly recommend you start by reading The Verses On Witness Consciousness by Sadguru Kedarji, a lineage holder in the line of Sages of Shaivism.